Maintenance Free Ranch in Beautiful Huntridge-Surrounded by Mountain Views! Upgraded EIK w/Appl., Corian Counter tops, Custom Cabinetry, Sliding Doors onto Private Patio. 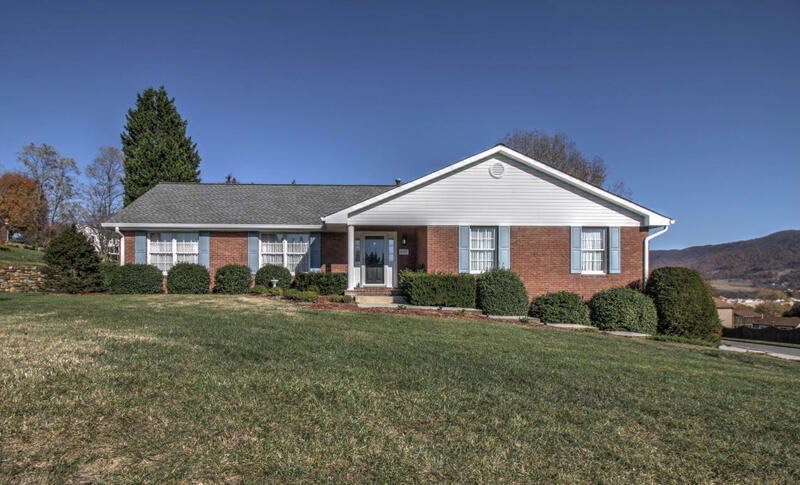 Formal Living & Dining Rooms, Family Room with F/P, Spacious Master Suite! Lower Level mostly finished -- Just needs flooring-Was previously used as a Workshop with TONS of Outlets! Irrigation System for Landscaping, Oversized 2-Car Garage, Covered Front Porch, Paved Drive. Well Maintained-One Owner! Lots of Upgrades-Custom Built - ONE OWNER!